Caller: This is Michael Jones with the IRS, badge # 01324847. Is this the Ms. Smith that resides at 232 West Baker Street? Caller: I have a warrant for your arrest for back taxes owed from 2008 through 2012 for “theft by deception.” The total owing is $25,330.15. If you cannot pay this balance by credit or debit card today then a police officer will be arriving at your house in the next couple hours to take you to jail. Do you have a card you can pay with right now? This conversation is similar to one a client at Fortress Financial Services had with someone who called them last year. Unfortunately, it is a conversation that too many taxpayers who owe back taxes have had. This type of conversation should never occur as it is not the IRS calling but, instead, a con artist. Had our client not contacted Fortress to determine the legitimacy of the call, she may have fallen for the scheme. Owing back taxes to the IRS can be a frightening situation. If you are not familiar with their collections practices, you may not know what to expect, when to expect it, and how to react. Preying on those fears are a number of con artists pretending to be from the IRS. Do not fall victim to their scams. ‘The real IRS will not call asking for a credit or debit card.’ When you call the Automated Collection System (the 800# set up within the IRS to take taxpayers’ calls when they owe money) this is part of the recording you will hear while you are on hold. 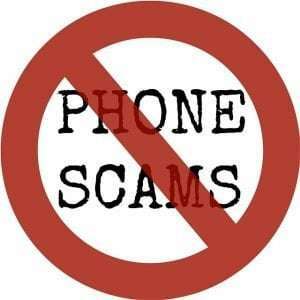 Despite the best efforts of the IRS, though, many taxpayers still do not know that IRS agents will not call demanding payment over the phone. Over many years representing taxpayers, Fortress has dealt with a number of clients who were targeted for potential IRS tax scams. One common scam is when someone calls the taxpayer and claims to be an IRS agent. They usually alter their caller ID to make it appear as though the IRS is calling. They will also give a badge number to make their call sound even more official. If the taxpayer does not answer their phone, the caller leaves an “urgent” message with their name, badge number, and phone number indicating that the taxpayer needs to call them immediately. The kicker, though, is that when talking to the taxpayer they make a demand for payment by debit or credit card over the phone. Sometimes they may also demand a wire transfer. Alternatively, they may also demand that the taxpayer meet them somewhere with a specific (and very large) sum of cash. If the taxpayer hesitates or refuses the scammers threaten them with being taken to jail that day. The appearance that they are official and the threat of taking the taxpayer to jail is enough to trip up some people who imagine the worst from the IRS. The lack of familiarity with the collections practices of the IRS often breeds nightmares of the worst kind. That fear and the approach by the scammers is the very recipe the con artists hope to create. They know there are people that worry the IRS can take them to jail. The trouble with that premise, however, is that the threat of prison is actually very minimal. Simply owing back taxes to the IRS is not enough to land a taxpayer in prison. Either they must have committed some form of tax crime, such as fraud, or they must have violated a Summons for information or appearance by the taxpayer. In both scenarios, however, the taxpayer will have been notified in writing of the threat of prison long before a federal agent shows up at their door. And, the person or persons advising the taxpayer of the threat of prison will have already been in contact with that taxpayer on numerous prior occasions, such that the taxpayer is already very certain of the agent’s official employment by the federal government. Moreover, in both instances the taxpayer will face a judge before being taken to prison. Never, NEVER will the taxpayer receive a threat of immediate jail upon the first meeting with an agent. So, what should a taxpayer expect if they owe back taxes? Fortress attorney Peter R. Brantley has an in-depth article entitled “Understanding IRS Collection Notices and Correspondence” right here on the Fortress website. I would encourage you to read that for more information. Basically, though, after a taxpayer files a return showing a balance due that goes unpaid, the IRS will process the return and then begin mailing a series of letters and notices indicating that the taxpayer has a balance due, how much it is, and what their rights are when dealing with the IRS. Pay close attention to those notices as they may instruct you to respond in some way. If you do not respond and you do not pay, the IRS may eventually either assign a Revenue Officer, who will attempt to contact you in person at first, or the IRS may issue bank levies or wage garnishments. At no point, however, will they threaten you with jail if you do not give them account information over the phone. Be aware that demand for payment is not the only type of IRS tax scams in which someone impersonates the IRS. Callers have also been known to tell taxpayers that they are due a refund for overpaying their taxes. Who doesn’t like getting a refund? If the taxpayer is responsive, they will push for private information so as to steal the taxpayer’s identity. Or, they may push for bank account information by explaining that a wire transfer or direct deposit will be issued that day. If it sounds too good to be true, it probably is. Another way they may attempt to scam taxpayers is by way of email. The IRS does not contact taxpayers through email, at least not initially. Only very, very rarely will an IRS agent email a taxpayer about their case. If they do: 1) it will have been after extensive contact via letters, in-person visits, faxes, and phone calls; and 2) they will not ask for personal or financial information to be relayed via email. Owing taxes can be scary. But, do not let your worst fears allow you to get taken for a ride. Additional information about possible IRS tax scams can be found at irs.gov.